A speaker that draws inspiration from the shape and characteristics of the light prism. Rechargeable Bluetooth speakers have become an audio trope of sorts, with an assortment of shapes and sizes that mostly all appear and operate with notable similarity. Which makes designer José Lévy’s Prisme Bluetooth Speaker for Lexon especially a welcome departure for its glamorous and adaptable take on portable, rechargeable audio. The triangular length of Lévy’s extruded aluminum is inspired by the shape of its namesake (but takes on the appearance of a Toblerone box in its golden hued option), perforated across its length for audio output via 2 x 5W + 4 passive drivers and designed to operate in both vertical and horizontal orientation. 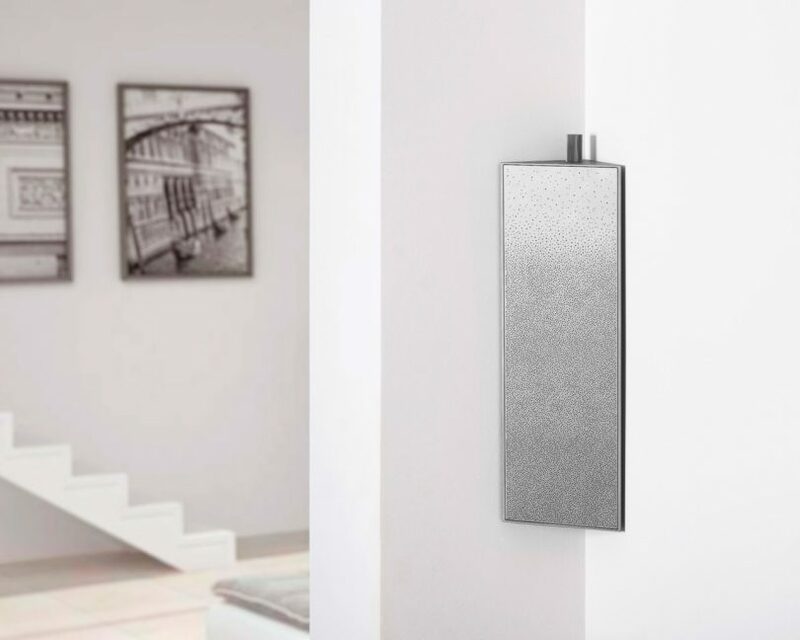 Vertically wall-mounted, the speaker tuck into corners as a discreet presence, offering the option to connect two Prismes to a single source for stereo Bluetooth 4.1 output. The Prisme is one of several products designed by José Lévy for Lexon’s SALT (Sound And Light Tools) collection.